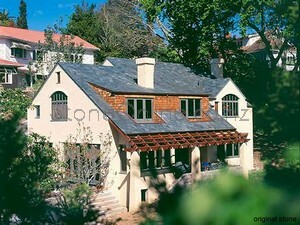 For centuries slate roofing has been used in different climates and locations throughout the world. It has been tested in saltwater locations, areas with extreme temperatures and temperature fluctuations, even for acid rain. Slate roofing succeeds in the harshest of conditions, and does so with style and grace, for up to 75 years. Easily surpassing clay tiles, iron, and timber shingles. For the last 30 years (since 1981) we have been installing slate roofs for New Zealand residences and commercial buildings. Please browse through out range of slate roofing products below.